Ok, let’s get into it! What is your official job title? I’m an author and illustrator based in Berkeley. 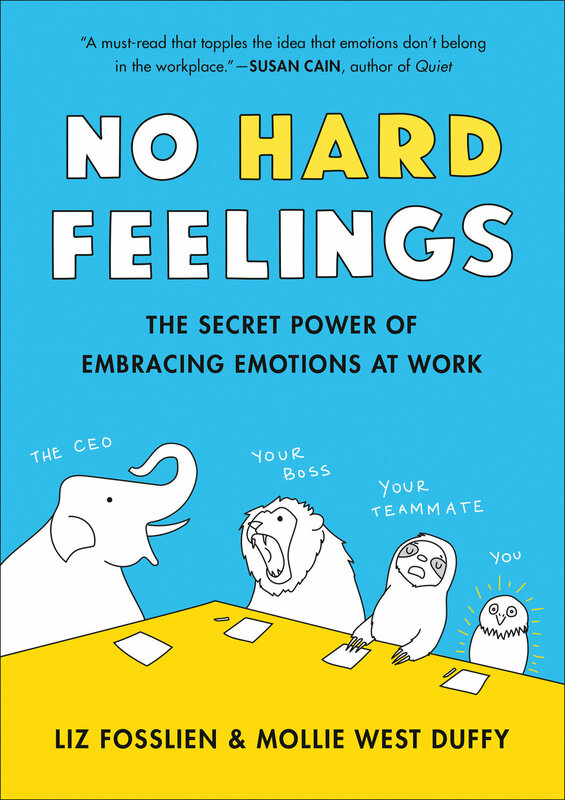 No Hard Feelings: The Secret Power of Emotions at Work, the book I just co-authored and illustrated, will be published by Penguin in January 2019! Could you tell us the story of your career so far? I worked at Starbucks for six months. During that time, I taught myself data visualization. I wanted to do something more creative and that seemed like a wonderful intersection of art and math. I also tried to see what I could have done to make myself happier in that job. That’s when I started digging into psychology and reading about what changes might have made me happier. Later, I worked at Genius, which at the time was called Rap Genius. There were maybe twenty employees when I joined, so it seemed like a really cool opportunity to help shape the future of a product I loved. I worked between the product and the community teams. After that, I joined Parliament, which was founded by Peter Sims, a best-selling business book author. Parliament brings Fortune 500 executives together with authors, researchers, and entrepreneurs who help them tackle problems they might have within their corporations. I worked there until I left to focus on the book. Before we go further, could you define what data visualization is? I would define it as presenting data in a way that makes it accessible to anyone. If you have no background in math or stats, you should still be able to look at an image or log into a portal and find the information you need to do your job well. How did you realize you had the skills to do data visualization? I love taking concepts that might seem difficult or boring—like math, stats, economics—and making them engaging. In terms of hard skills, having a quantitative background really helped. I had some basic coding skills. And then—I never studied it—but a general interest in art. 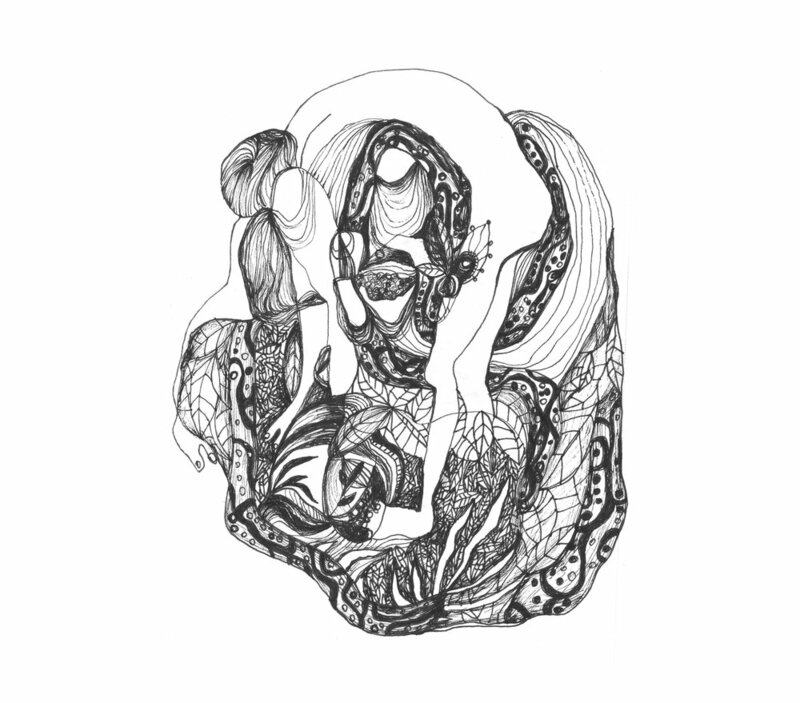 Speaking of illustration, have you always drawn? How did you come to be an illustrator? Drawing was born out of my interest in data visualization. As a way to play around with various chart styles, I started putting my feelings into charts. Then I started doing charts around common experiences, like, “How to get a job.” And slowly, in addition to drawing a line, I’d draw a little figure in the corner, which eventually evolved into full-on cartoons. I didn’t take any classes. I downloaded a free 30-day trial version of Adobe Illustrator. I kept creating new accounts until I finally said, “Ok, I should just buy this.” I spent hours on Pinterest. I’d type Liana Finck (an illustrator) into the search bar and look through everything she’s ever done. What’s one thing you didn’t expect you’d have to do in your current job but you find yourself doing? Dealing with a lot of spreadsheets. Mollie, my co-author, and I have a spreadsheet, and I think there are twenty-one tabs in it. Excel sheets are useful for any job! Good to know. What do you do day-to-day? There’s still a lot of writing. That’s one thing I wasn’t expecting once you finish a book. Mollie and I are putting together articles for different publications that give readers an idea of what the book is about. I also spend a good chunk of my time illustrating for our Instagram account. And finally, we’ve been giving emotion-at-work-related workshops at companies like Adobe and IDEO. How did you and Mollie find each other? Any insights into working with someone closely? When I moved to New York to work for Genius, I knew very few people, so I emailed my friends and said, “Set me up on blind friend dates!” Mollie was my first blind friend date, and we immediately bonded. We’re both introverts, diligent when it comes to our sleep routine, and have favorite sleep masks and ear plugs. Mollie was writing articles (she was at Parsons getting her masters) about organizational design. We thought it might be fun to write an article together. We wrote an article that detailed what it’s like to be an introvert, which was published on Quiet Revolution (Susan Cain’s website, the woman who wrote Quiet: The Power of Introverts in a World that Can’t Stop Talking). It went viral and was featured in a bunch of publications. In terms of working together, it’s about checking in. We’re still really good friends and, given that we’ve been working together on an at-times intense project for two years, that’s wonderful! One thing we realized is that the times we’d get grumpy with each other were the times we hadn’t talked. When you start working on a project with a friend, it’s easy to start only having interactions centered around work. Three months into the book project. I realized I had no idea what was going on in Mollie’s personal life. So we said, “Every weekend, for fifteen minutes, we can only talk about our personal lives.” That helped us see each other not just as “That colleague,” but as “My friend that I care about.” Also, maintaining the frequency of phone and video conversations is important. If you’re only emailing each other, it’s easy to misread tone and get offended. We also started a spreadsheet that had ten statements like, “I’m happy with where the book is,” “I feel good about my contributions,” “I feel good about the other person’s contributions,” “I’m anxious,” Every two weeks, on a scale of 1-10, 10 being, “I so agree with this,” we’d fill out how we were feeling and how we thought the other person was feeling. I might say, “I feel 9 about how good the book is, and I think Mollie feels 8.” Any time there was a huge disparity in what I thought Mollie felt and what Mollie actually felt, it indicated there was miscommunication and we needed to talk. Was your time at Starbucks when you decided to write about emotions at work? How did you decide to write a book at all? Starbucks didn’t really push me into writing, but it did push me into drawing and being more appreciative of the power of art and design. Starbucks is so thoughtful about design! In every store there’s really precise instructions for how to lay out the pastries. They have circular tables so you can sit there alone and not look alone. 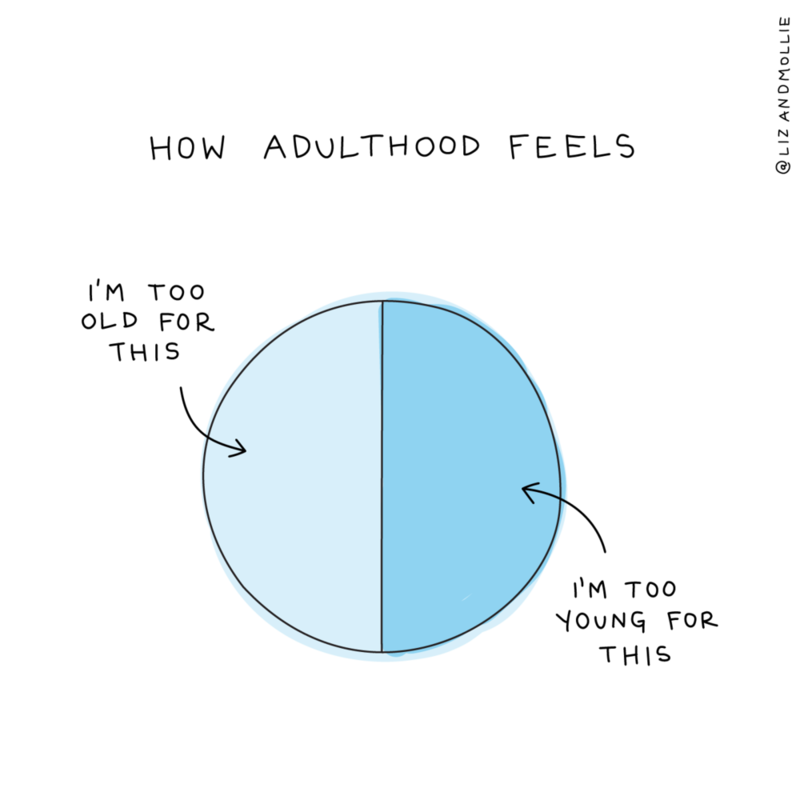 The music changes based on the time of day. They really understand that design done well can be incredibly lucrative and incredibly powerful in evoking emotions. That definitely had an influence on me, in that I’ve been really thoughtful about how to make this book design feel friendly, affectionate, and empathetic. It seemed so much more fun to work on a book with a friend, to have a partner. Even just someone to bounce ideas off of. I never set out to write a book, but I feel very grateful to get to do it, and with one of my good friends. What was the process of writing a book like? For non-fiction books, you don’t have to have a complete manuscript when you sell it to a publisher. You just need a proposal. There’s one sample chapter, a pretty detailed outline, and then a good chunk of the proposal is how you’re going to market the book. We worked with our agent and spent eight months putting it together. It was a 70-page proposal. Our agent sent it to maybe twenty publishers, and got responses from about half of them, which I think is pretty standard. Then we met with those publishers in person in New York. We picked a publisher that let us make our book a different size than the typical business book, and have the illustrations be in two colors (black and blue). Writing the book took about a year and a half. Between actually finishing the book and having it come out there’s about six months of prepping for the launch. Have you encountered any resistance or skepticism to talking about emotions at work? The first skeptic was my dad. 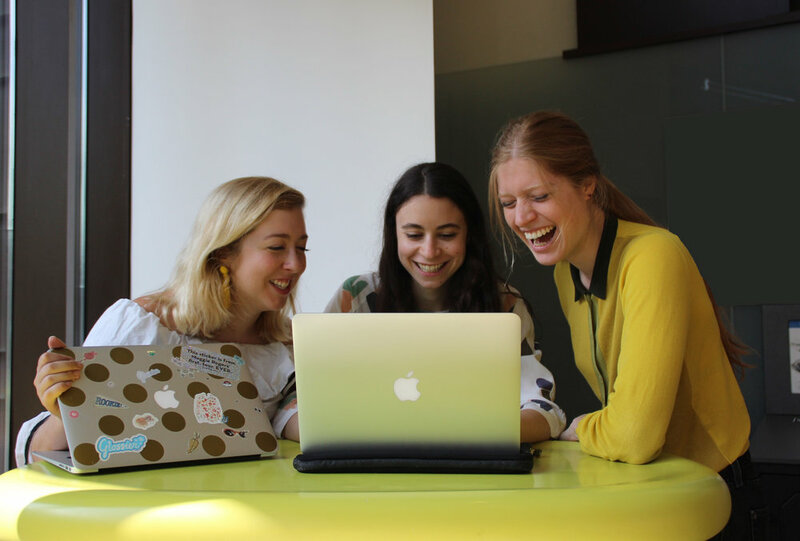 He’s a doctor, a true, to-the-core scientist who told me, “I don’t want people to have emotions at work, it’s going to be a mess!” So Mollie and I tried to look for research that created a financial case for emotion at work. One example is if employees feel a sense of belonging. If they feel that they can bring their true self to work, suggest ideas, make mistakes, and not have to hide half of who they are in the workplace, they’re much more likely to stay at the company longer, they’re happier, and more productive. Another example is Project Aristotle, a study Google ran that looks at what makes a team good. At the beginning they thought if you put a bunch of senior level people on a team, that will be the best team. But what they found is that it’s less about the who and more about how they treat each other. If you create an environment in which people feel it’s ok to take risks, they don’t feel they’re going to be judged, and you have a much more innovative team. There’s an obvious financial outcome. What is the biggest misconception about emotion in the workplace? The biggest misconception is that when we say emotion at work we mean “Feel it all, to anyone, all the time.” This is especially relevant for leadership. There’s now a push for: “Leaders should be empathetic and vulnerable.” That is very true, up until a certain point. If I know that there are issues at the company and you act like an unemotional robot, I feel like you’re obviously showing me a fake version of yourself and I’m not going to trust anything you say. A leader should acknowledge when something is going on. But that’s different then the leader saying, “Oh my God, I’m completely overwhelmed, everything is falling apart!” You want to speak to what’s going on but not destabilize your entire staff. We call that selective vulnerability. A way to practice that is to acknowledge what’s happening, but then providing a path forward. Thanks so much, Liz! Readers,to tide you over until next week, for more from Liz and Mollie, go check out their Instagram here or pre-order their book No Hard Feelings here. Then, check back in next week for another hearty dose of wisdom from Liz!